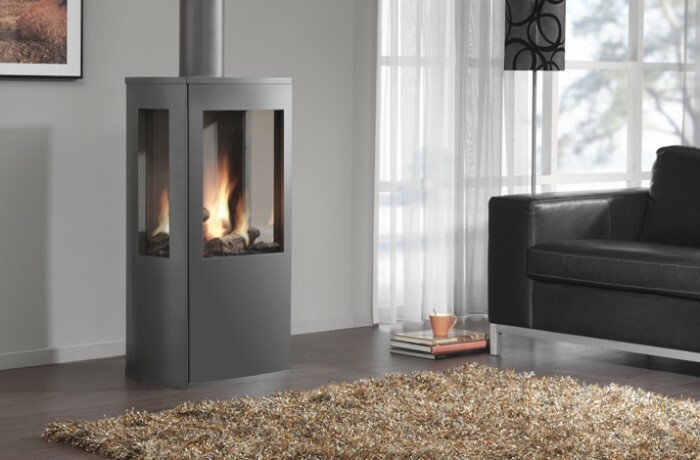 The Trio is a Slim Line, freestanding gas-fired fire with a robust appearance. Both large and small living spaces can have a lovely 3D fire centre point that is visible from several angles. The tall, glowing flame-effect is striking and is highly visible through any one of the three glass panes.